Take a closer look at the number one cause of skin cancer: Ultraviolet light, and learn to protect yourself! Ultraviolet light, otherwise known as UV rays, is actually a form of invisible radiation from sources such as the sun, tanning beds and to a lesser degree even overhead fluorescent lighting. UV rays can penetrate and even mutate the cellular structure of our skin cells. The three types of UV rays are ultraviolet A (UVA), ultraviolet B (UVB), and ultraviolet C (UVC). UVA rays are the longest of the three wavelengths and make up 95% of the UV radiation that reaches Earth’s surface. UVA is the most common kind of sunlight at the earth's surface, and reaches beyond the top layer of human skin all year round, in sunshine, clouds, or rain. Scientists believe that UVA rays can damage connective tissue and increase a person's risk of skin cancer. 80% of UVA rays can pass through clouds and damage your skin. They are present with relatively equal intensity during all daylight hours throughout the year, and can penetrate clouds and glass. UVA rays are predominantly responsible for squamous cell carcinomas. Image source: Cancer Research UK. UVA rays reach much deeper into your skin than UVB rays. The ozone layer absorbs most UVB rays; UVA rays, on the other hand, reach deeper into the skin, past the outer layer (the epidermis) and far into the dermis and hypodermis. Rays can have dramatic negative effects on your skin. Because UVA rays penetrate deep into the skin (the dermis and hypodermis), UVA ray damage is responsible for premature aging, including loss of elasticity, wrinkles, sunspots, fine lines and hyperpigmentation. While UVB rays are only present when the sun is out, UVA rays are always present, even when it’s winter. Even if it’s cold and dreary out, you still need sun protection to guard against UVA rays.UVB rays are most intense when the sunlight is brightest—between 10am and 2pm. UVA rays’ intensity is constant throughout the day, regardless of whether or not the sun is directly hitting you.Unlike UVB rays, UVA rays can penetrate glass windows, like your car windows. At least 60% of UVA rays can pass through car windows. Even when you’re driving, UVA rays can still damage your unprotected skin. This is why we created our classic Sundriven gloves to help protect you. Most UVB rays are absorbed by the ozone layer, so they are less common at the earth's surface than UVA rays. UVB rays don't reach as far into the skin as UVA rays, but they can still be damaging. The shorter length rays of UVB are primarily responsible for the reddening and burning of our skin. Both the powerful UVA and UVB rays, that make up in part the term UV radiation, can be extremely harmful and dangerous when we are not taking proper precautions. 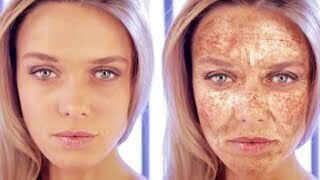 Many experts believe that, especially for fair-skinned people, UV radiation also frequently plays a key role in melanoma, the deadliest form of skin cancer, which kills more than 8,000 Americans each year Did you know that melanoma is the most common form of cancer in adults between the ages of 25 and 29? UV radiation is considered the main cause of nonmelanoma skin cancers (NMSC), including basal cell carcinoma (BCC) and squamous cell carcinoma (SCC). These cancers strike more than a million and more than 250,000 Americans, respectively, each year. So do yourself a favor: Wear SPF and make sure you buy yourself proper sun protective apparel. Our ageless Sundriven collection was designed just for that, and is stylish to boot. UVC rays are in fact, very dangerous, but they are absorbed by the ozone layer and do not reach the ground. These rays have the shortest wavelength, the most energy and fortunately do not penetrate the atmosphere. UVC radiation is almost completely absorbed by the ozone layer and does not affect the skin.